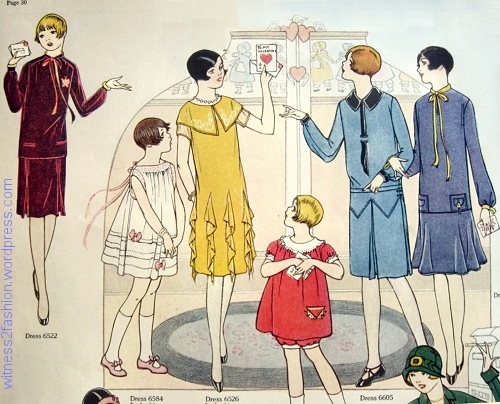 Even these children’s pattern illustrations from 1926 are a delight. 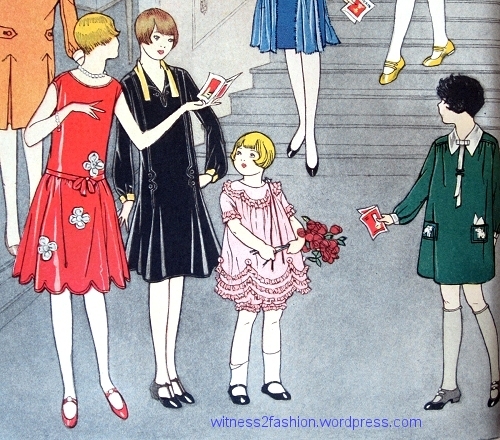 A large color illustration of Butterick patterns for children and young teens. 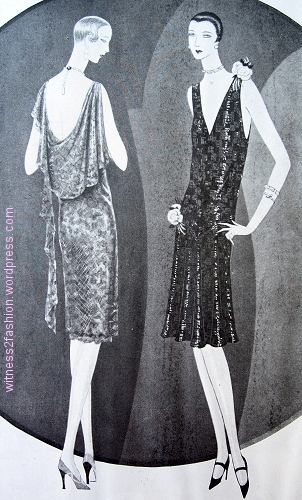 Delineator, January 1926, page 30. 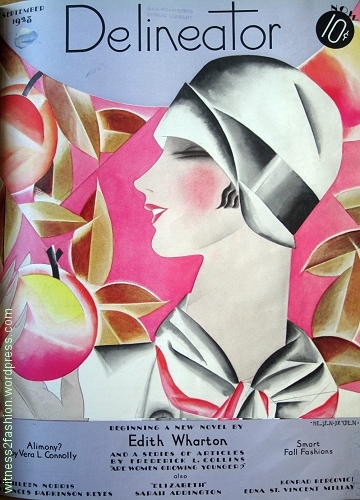 This was only part of the page. 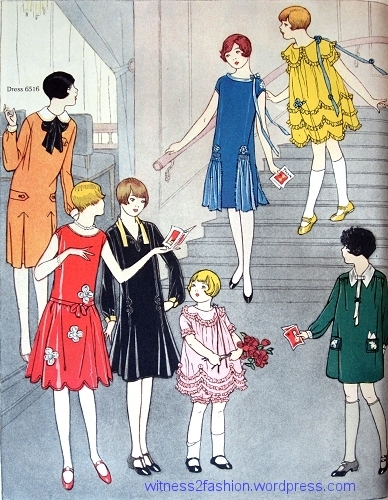 Girls’ dresses, Butterick patterns in Delineator, January 1926. 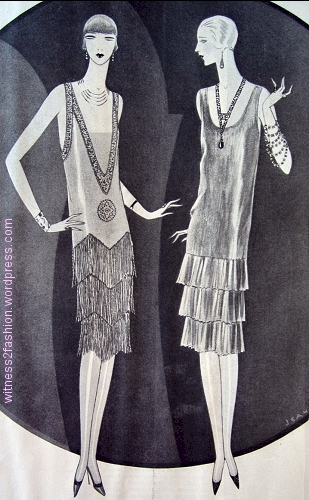 These two dresses are “for juniors and girls 8 to 15.” Notice the hemlines — just covering the bottom of the kneecap. 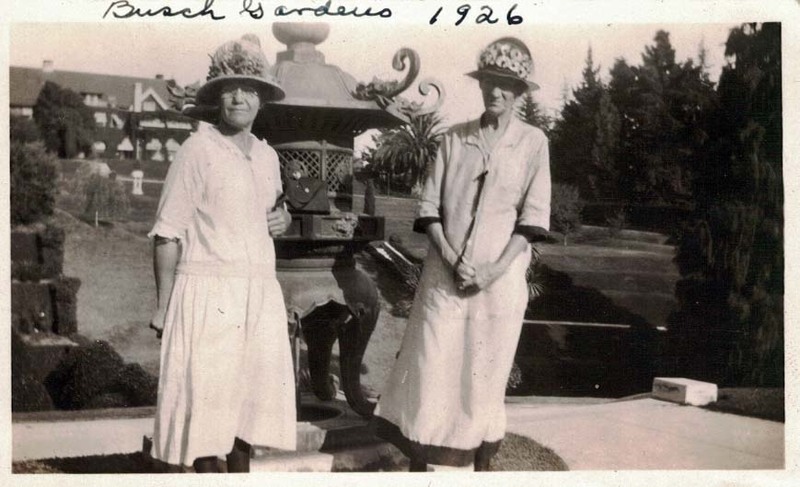 Two girls 15 or under. 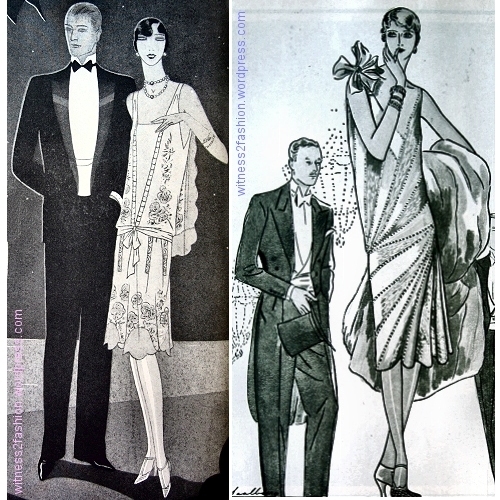 Butterick pattern illustrations from January 1926. 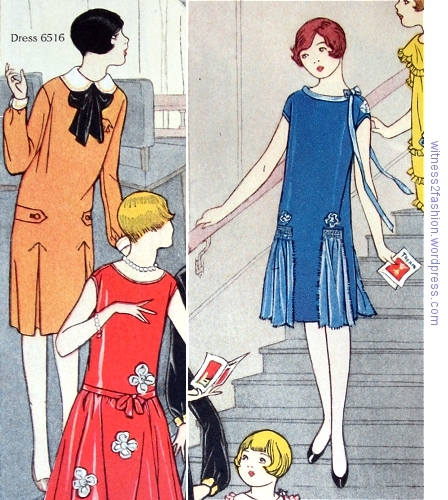 Patterns 6516, far left, and 6478, in blue. 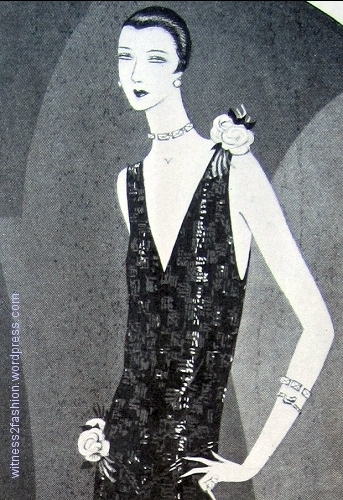 Within a year or 18 months, patterns for grown women show this length. 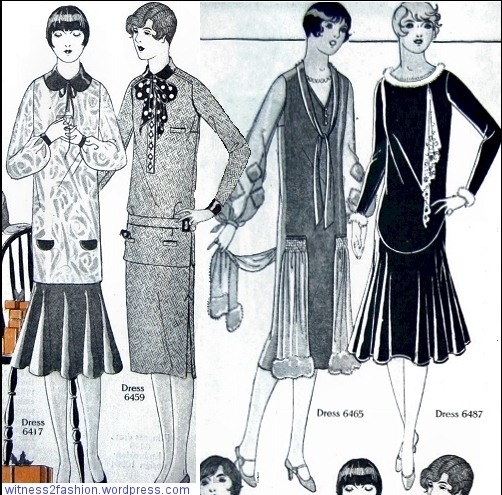 Butterick patterns for women, Nos. 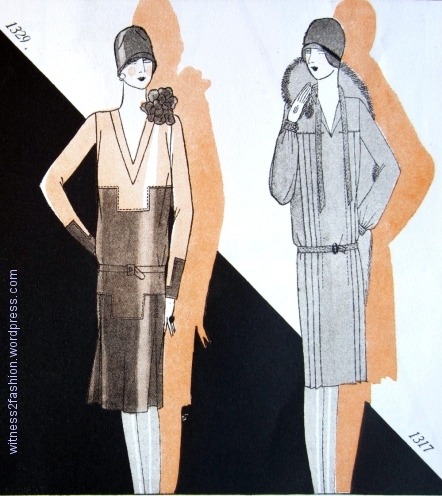 1906 and 1928. 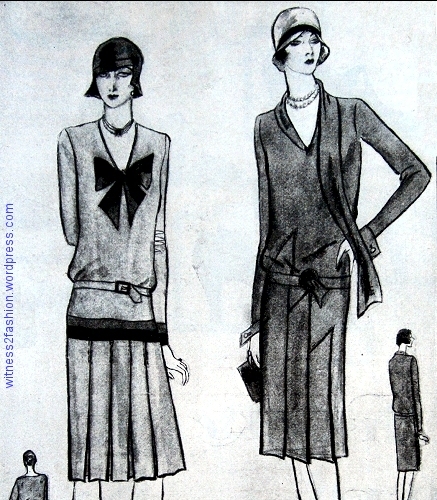 Delineator, March, 1928, page 35. 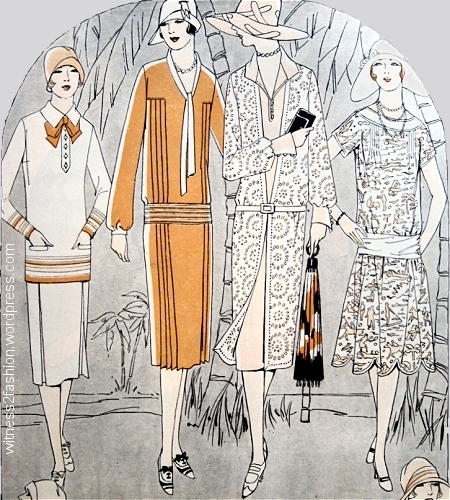 These adult patterns were available in two size ranges. 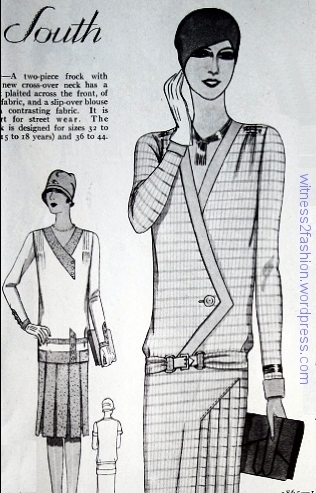 Sizes “15 to 18 years” were for teens and small women, bust measures 32 to 35 inches. 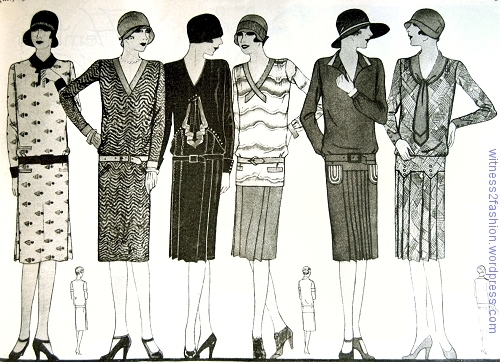 They were proportioned for women 5’4″ and under. 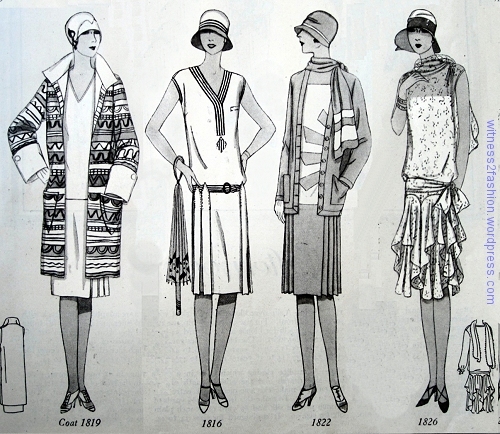 The normal range of women’s sizes was sold by bust measure: 36 to 44 inches in this case. 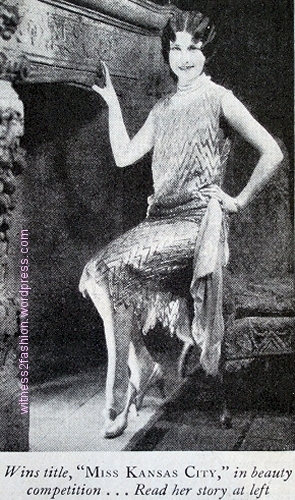 Short women with a 36 to 44 inch bust would have to alter their patterns. 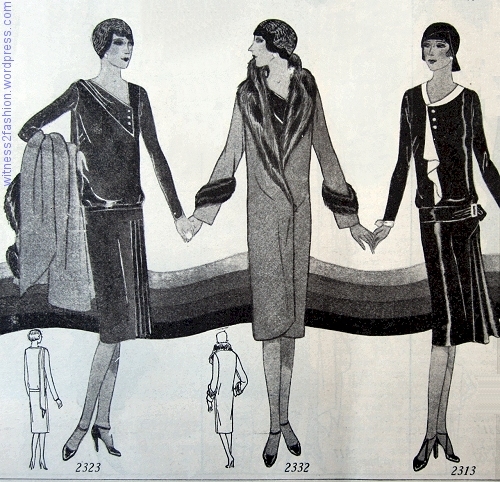 Here is Butterick’s advice for making a pattern fit a short woman, from 1926. 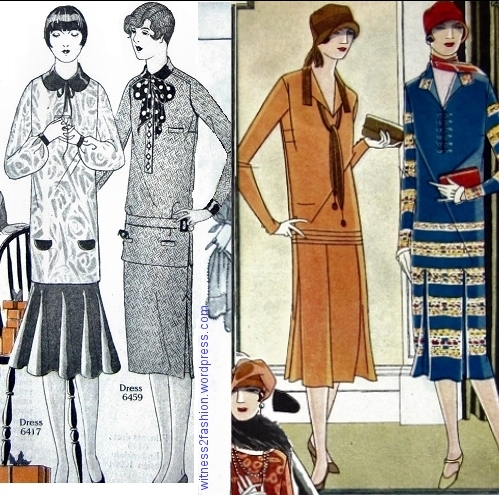 Notice how important it is to alter the pattern in the torso, not just the hem. 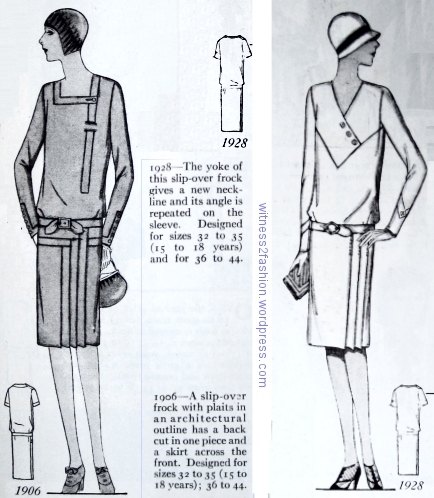 This would also apply to lengthening a 1920s’ pattern, so that the hip belt fell in the correct place. 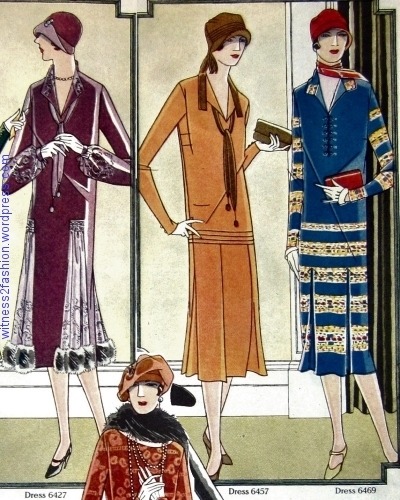 Perhaps this is why so many late 1920s’ photos show older women in long-ish dresses — rather than a sign of “the persistence of fashion,” as I often assume, it could be a sign of not knowing how to alter a dress pattern to fit a short, large body.